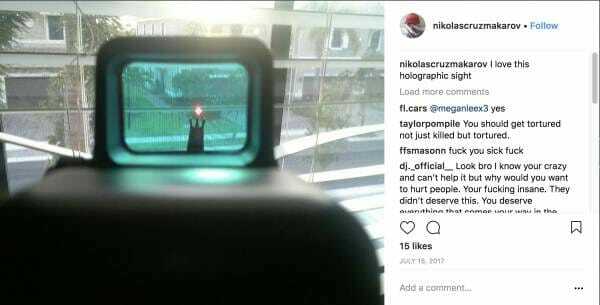 Cadet Private First-Class Nik Cruz was talking to America when he posted his photos on Instagram. Nik takes us inside his world. He wanted us to see his development from a fairly normal kid to a serial killer. Cruz is a product of American culture and he has a message for us, although we may not want to hear it. Cruz’s odyssey from ostracized youth to serial killer is noted for its adherence to a well-documented script. Cruz is the prototype. He is general issue. Cruz uploaded this image to his Instagram account. 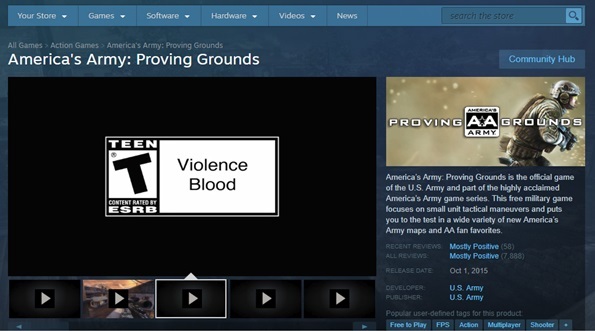 Researching Pop Culture and Militarism: Can video games be anti-violence? Researching Pop Culture and Militarism: What exactly is an 'anti-war' film? Researching Pop Culture and Militarism: Can Pop Culture Normalize Militarism/Militarization? Can seemingly innocuous activities such as playing video games, watching movies, or binging on TV shows affect your ways to see the world or how you behave? Could it affect social norms? Is one able to “turn one’s brain off”, and not be affected beyond the most superficial level, by what one is consuming? Much has been written about violence in the media and how it might affect people’s behavior, and indeed, positive correlations with violence can be found1. But beyond these oft-discussed subject, the question is: what role does mass media and pop culture play in normalization? And, more related to this series of articles, what is the relationship between pop culture, militarism/militarization, and normalization? This article will attempt to approximate us to an answer..
Researching Pop Culture and Militarism: What is normal? Is this sentence a fact, or an opinion? When starting a sentence with "human beings are..." or "human nature is...", who determines whether what is being said is fact or fiction? History? One’s own experiences or philosophy? Is there such a thing as normal human behavior anyway? In the following article, we'll discuss how "normal" beliefs, actions, and practices are not, despite being often assumed to be so, universally defined. They are products of a specific context, and are often used to judge others outside of it.